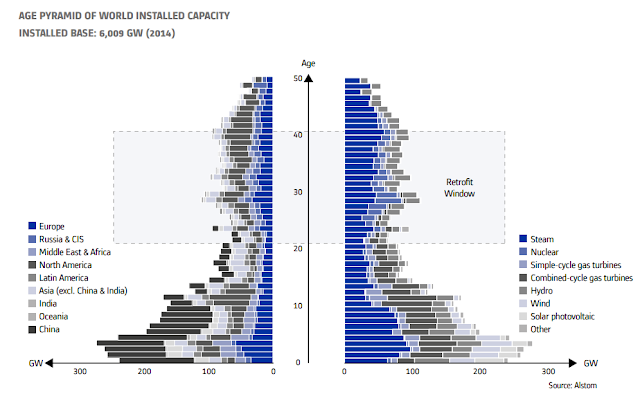 Alstom has an interesting graphic in their annual financial report showing an age pyramid of global power generation capacity, segmented by age. 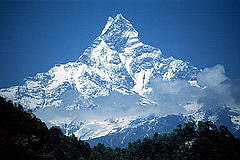 One half of the pyramid shows the breakdown of capacity by region, the other half by type of generation. It's interesting to note just how rapidly renewable energy has become the dominant type of new generation (rising to more than 50% in recent years). 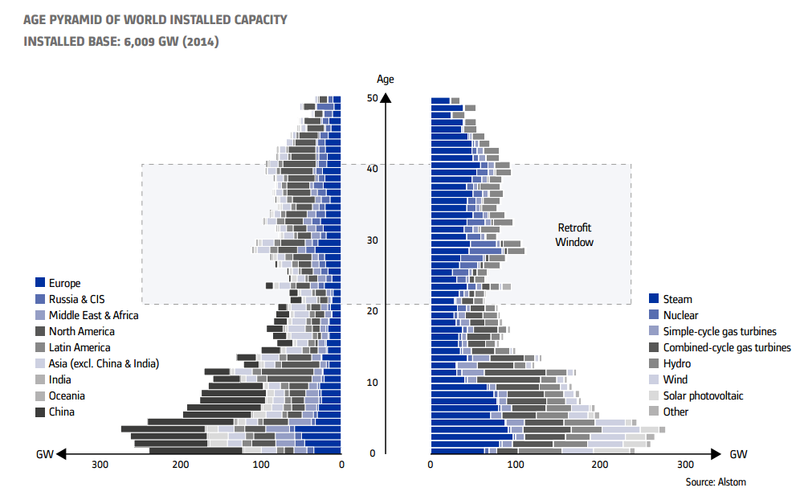 If capacity building continues at the current pace and the older plants are retired the switch to renewables could end up occurring quite quickly.